On Friday night, the North Lamar Pantherettes continued their dominance in district play as they defeated Liberty Eylau 11-0 in six innings. North Lamar scored 7 runs in the top of the 1st inning on their way to the victory. Jaycie Hall got the win for The Pantherettes in the circle as she struck out ten and only allowed one hit. 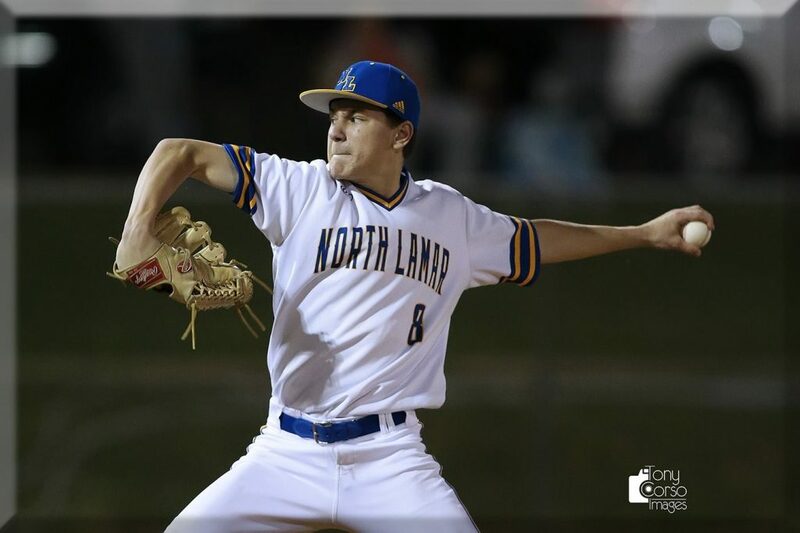 North Lamar will close out district play Tuesday at home against Pittsburg. That game will be on Mix 107-7. In other games, Prairiland lost to Cooper 5-1. While Rivercrest won 10-0 and are now 11-0 in the district. In baseball, the Chisum Mustangs completes the sweep over Prairiland as they won 5-1 at home while Paris fell to Pleasant Grove 5-0 at home. And it was North Lamar with a 5-0 shutout victory over Pittsburg. After defeating Heritage 3-2 on Friday, the Mt Pleasant boys soccer team advanced to the regional final Saturday against Wakeland. The Tigers fell, in a tough loss, 1-0 to end their year. The Lady Tigers lost to Independence on Friday, 5-1, to end their season. The Frisco RoughRiders saw their six-game winning streak snapped Sunday afternoon in a 4-1 loss to the Midland RockHounds. Tiger Woods won his fifth Masters on Sunday in dramatic fashion, taking the lead on the 15th hole, and sending the patrons at Augusta National into a frenzy as they witnessed one of the game’s greatest players of all time claim his 15th major championship. He was -13 under. Woods had never come from behind to win a major. Until Sunday. It was also Woods’ 81st PGA Tour victory, and his first since winning the Tour Championship to end last season. Dustin Johnson, Xander Shauffele and Brooks Koepka tied for 2nd at -12 under. By the way, on Tuesday, a better at a William Hill U.S. sportsbook at SLS Casino in Las Vegas, Nevada placed an $85,000 bet on Woods to win at 14-1 odds. It was the first bet ever placed by the customer at William Hill and will pay out $1.19 million, the largest single golf ticket in the company’s history in the U.S.
After being rained out on Saturday, the Texas Rangers were back in action Sunday against Oakland. The Rangers hung on to beat the A’s 8-7. Texas starts a three-game home series against the Angles tonight, with the first pitch at 7:05 pm. It will be Miller vs Harvey. The NFL and NFL Players Association have added 11 helmets to their joint list of approved equipment for 2019 while eliminating a grace period for other models that have fallen short in laboratory testing, engineers and executives representing both groups said Friday. By the end of last season, 32 players were wearing helmets that are now banned. The NFL and NFLPA have been testing helmets since 2015, but they agreed for the first time last year to prohibit lower-performing models. Six were banned immediately and four others, including the one often used by New England Patriots quarterback Tom Brady, were allowed to be worn for one more year.